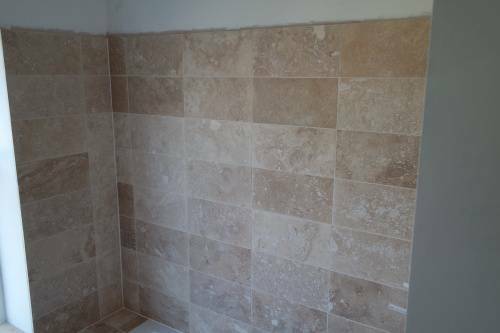 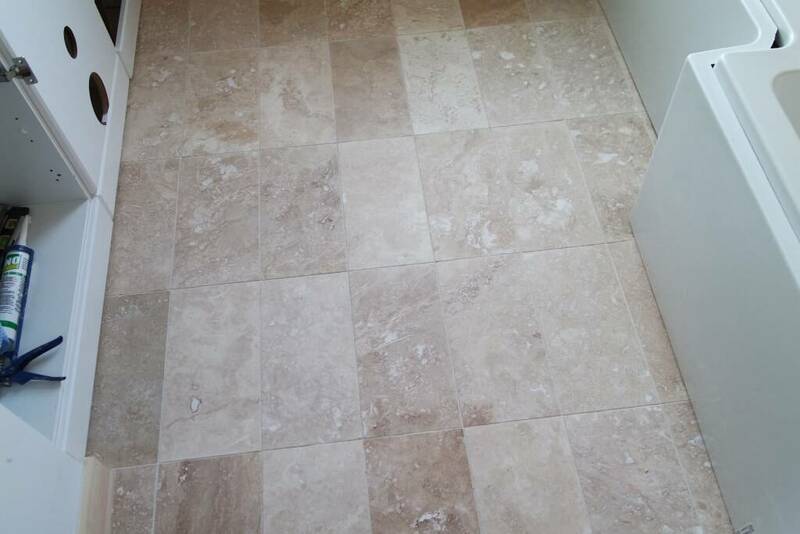 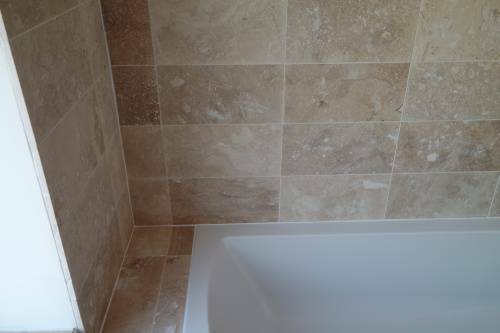 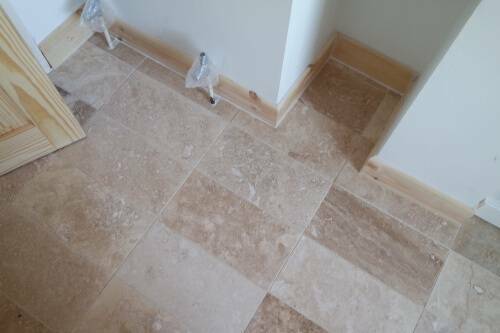 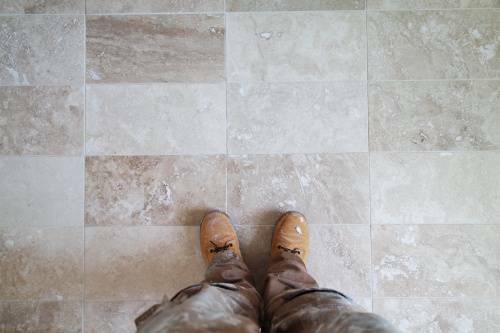 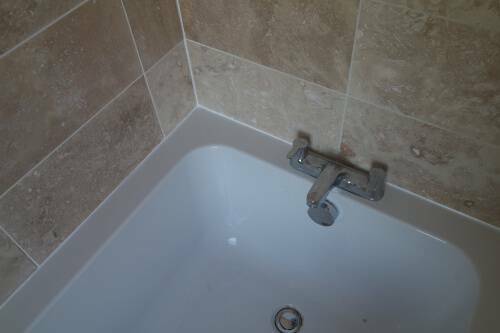 Travertine stone tiles are a very distinctive tile and look very natural. This is a bathroom we have recently finished. All the walls were knocked back to the brick and the ceiling dropped. 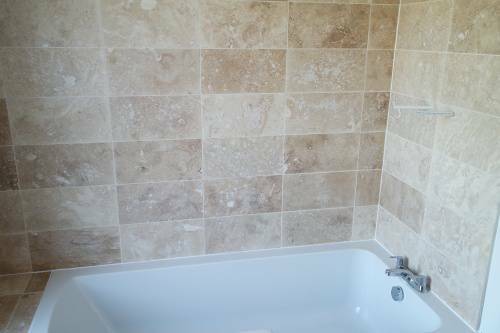 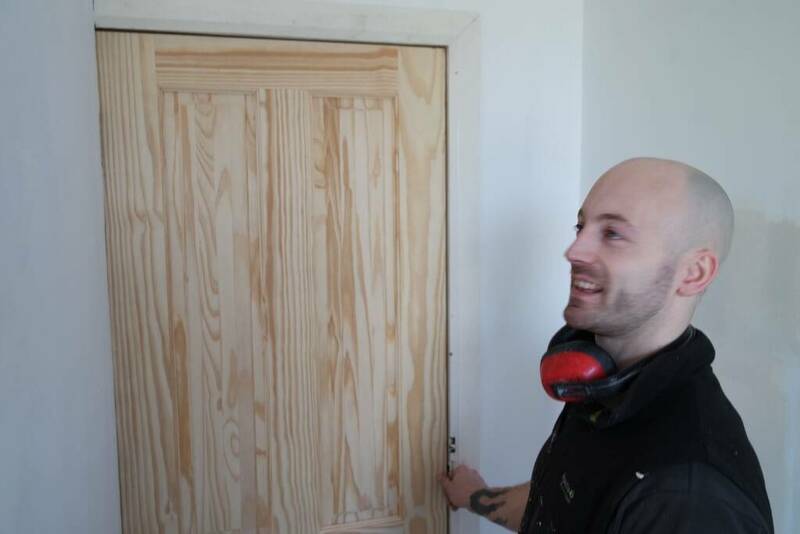 12.5 mm plaster board is used with a dot and dab method on the stone and then plastered to a polished finish. The floor has been ply lined with with 6mm ply and primed ready for tiling.